Jane Rochford was sister-in-law to Anne Boleyn and Lady of the Bedchambers to Catherine Howard, who she followed to the scaffold in 1542. Hers is a life of extraordinary drama as a witness to and participant in the greatest events of Henry's reign. Her supposed part in both Anne Boleyn's and Catherin Howard's downfall has led to her being reviled through centuries. 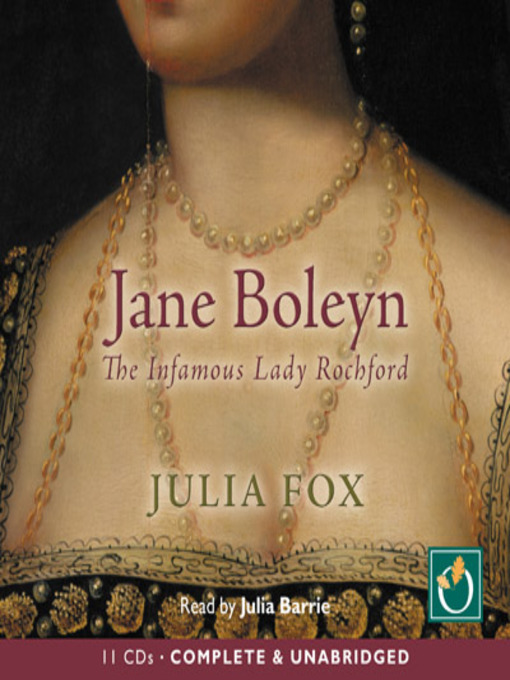 In this fascinating biography, Julia Fox repudiates the idea of the infamous Lady Rochford and Jane emerges as a rather modern woman forced by brutal circumstance to fend for herself in a politically lethal world.